Supports both SD (Composite, YCbCr) and HDTV (YPbPr) input signal. Audio can be analog stereo (L/R) or digital coaxial (S/PDIF). Accepts one component input and splits it to 8 identical and buffered outputs without any loss. 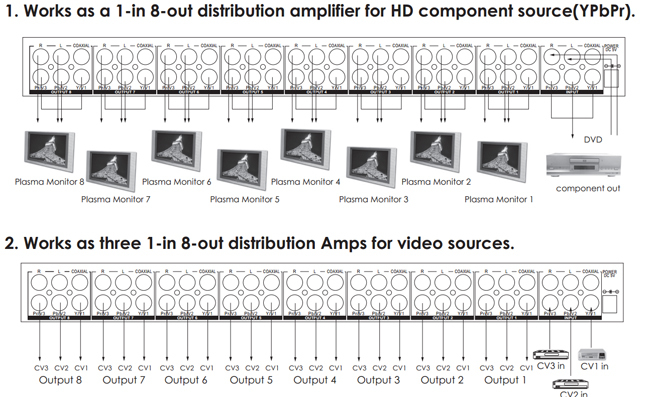 When inputs in composite video, it can connect up to 3 different video sources and output 8 identical and buffered signal for each input source. 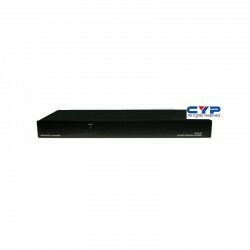 High bandwidth performance 650MHz at -3dB. Ideal for presentation and home theater applications.